Do you love punny cards? Carisa here with you today and I just love Paper Smooches because they have so many stamps with a fun play on words. I couldn't wait to create this card - as soon as I got the stamp set, this card came to mind. 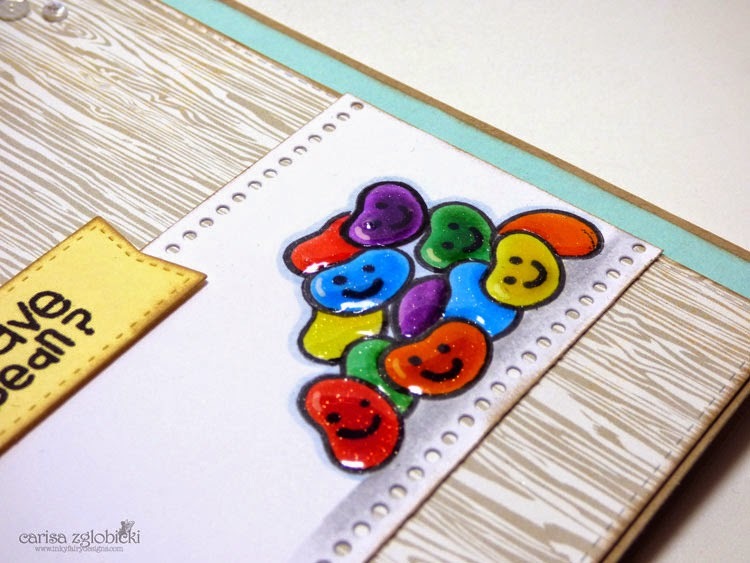 I created my pile of jelly beans using some simple masking and then did some basic Copic coloring to make them pop. Then end result is a fun, easy and fast card to make and I'm going to show you just how in this video today. Here is a close up of all those jelly beans. I added Wink of Stella clear and Glossy Accents to each of the jelly beans for some added interest. 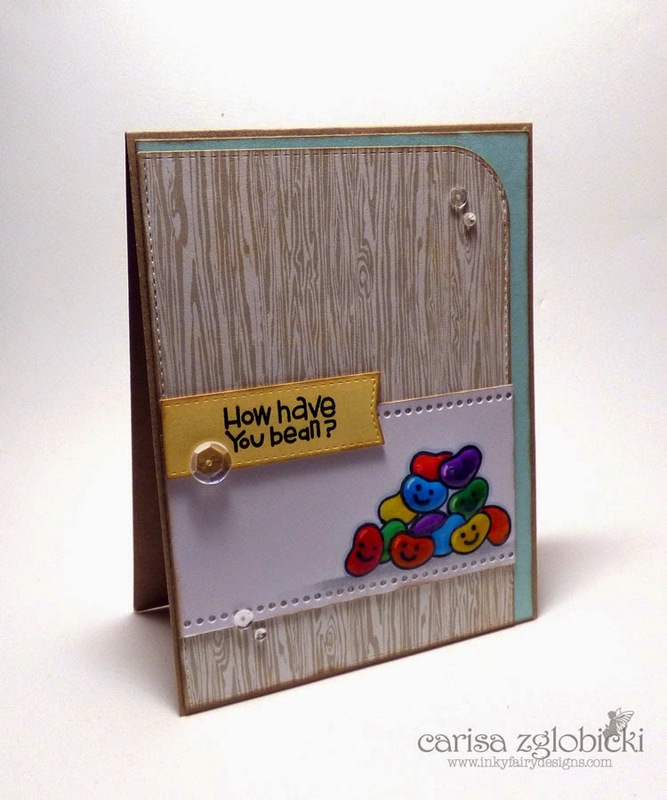 I also used Paper Smooches Dots & Dashes dies to create that fun punched border on the main image panel of my card. I love using dies to create added interest and dimension to cards without the bulk of heavy embellishments. This card is perfect to pop in the mail! I also used My Favorite Things Die-namics Blueprints 20 & 22 to create my card. These dies are MUST HAVES for card makers - really takes the guess work out of design. All those jelly beans are adorable. Fabulous coloring! Thanks so much for playing with us at PaperSmooches Sparks!